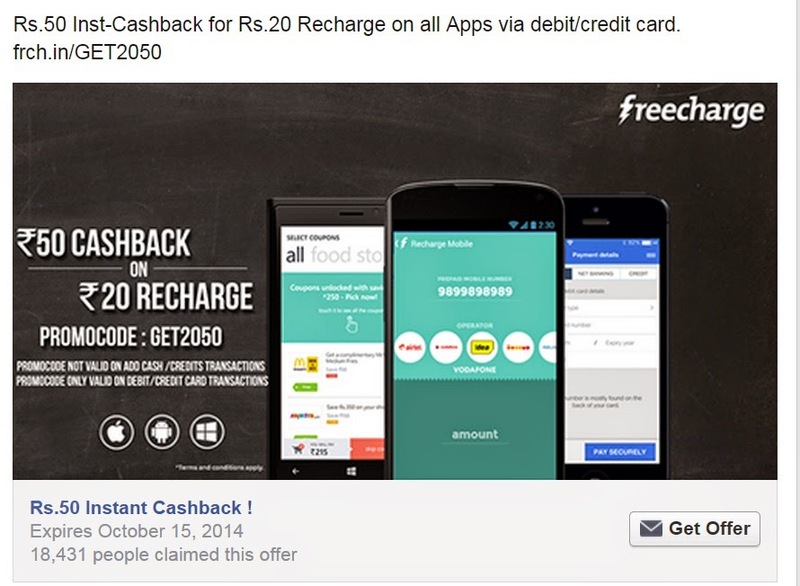 First like this page and recharge using Freecharge App. Use only Debit/Credit card. -Offer valid on Prepaid, DTH, data recharges and Postpaid bill payments.